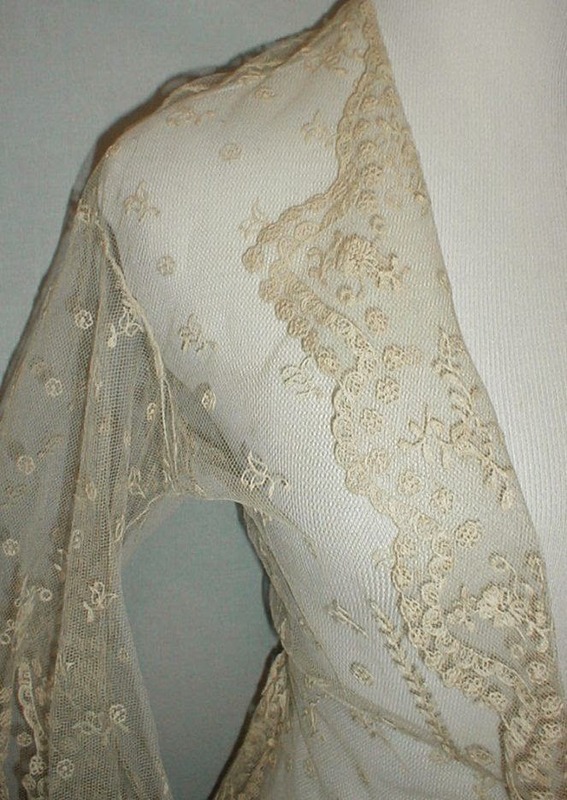 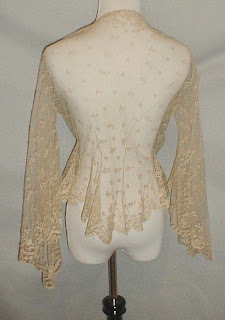 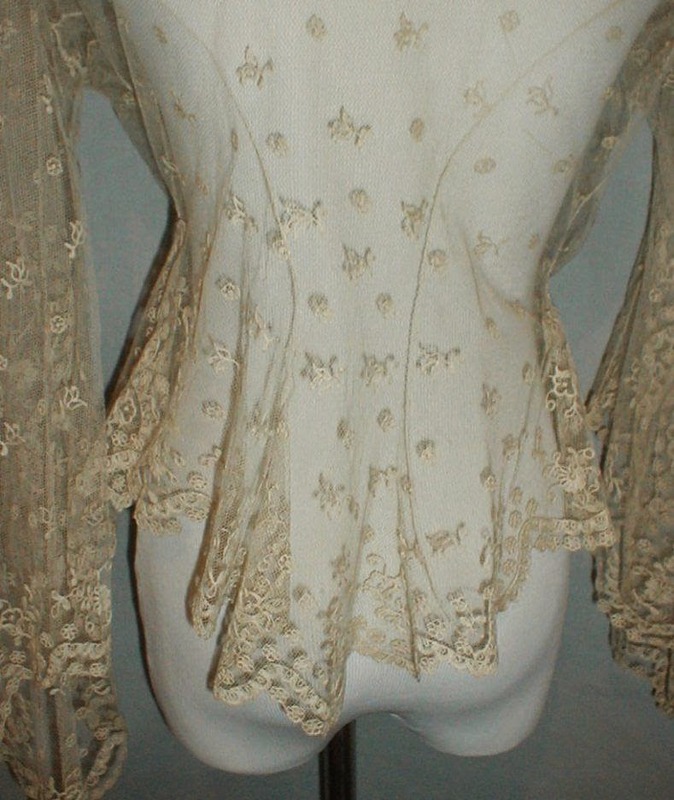 A beautiful 1860’s lace jacket that has full pagoda styled sleeves. 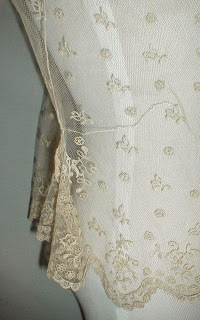 The lace has an overall small floral pattern and large floral pattern on the edge of the hemline. 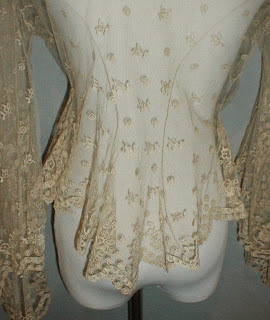 The jacket has full pagoda styled sleeves and a wide peplum hemline. It is in very good and sturdy condition. There is a period mend on one side near the waist. (See photo). 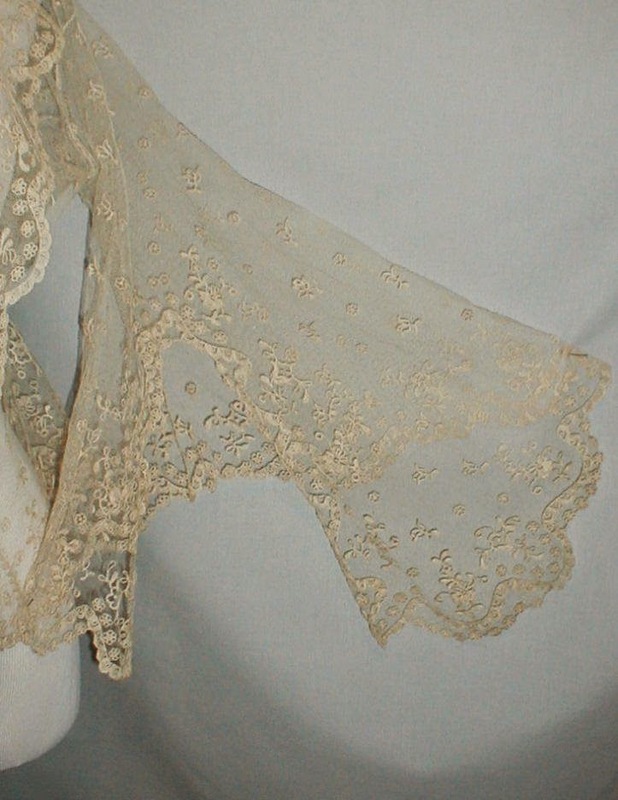 The repair is very well done and blends in with the color of the lace. 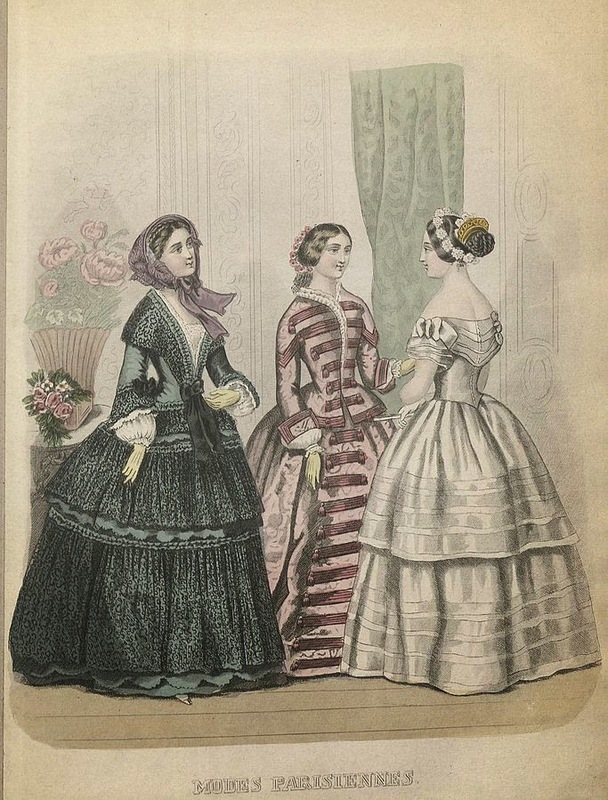 Bust 32 Waist 28. 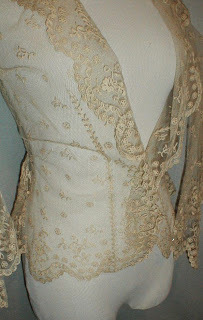 The v-opening, the basque waist, and those sleeves, all indicate an earlier date.